Available from Andian Sales , specialist in traffic safety management equipment, is a range of fixed in ground designer bollards. Used in locations where aesthetics is a must, fixed in ground designer bollards can be used in conjunction with the removable version of the product. Presented in a variety of stylish and practical designs, the fixed in ground designer bollards range from Andian Sales are made from stainless steel and mild steel. A flexible insert is also available for where tight access means the occasional nudge will occur. Let us minimise the damage to both vehicle and bollard. 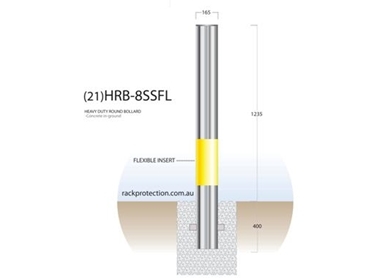 The fixed in ground designer bollards range also features a heavy duty selection, weighing up to 32 kg, which are ideal for ATM protection, heavy duty ram raid protection and car park applications – particularly where more beef is required.